Is it really June already? Has May been and gone? I feel a bit like John Lennon when he told Yoko that he was only going out for a packet of fags. It seems that time is getting the better of me at the moment. There just seems to be too much to do and not enough time to do it. Anyway, I hope you've all been having a great time - especially as we seem to have had a bit of summer at last. So after my impromptu break, I managed to get back into the kitchen today and tried my hand at some new recipes. This one is a gorgeously moreish layer cake. It uses spelt flour and toasted, ground hazelnuts to give a lovely, nutty taste to the sponge which is lifted by the tang of lemon zest. I used a cream cheese frosting to balance out some of the sugar, and as you can see, the top is loaded with fresh, juicy blueberries. I really loved the combination of flavours. Very nice with an afternoon cuppa. Pre-heat the oven to 160 Fan / 180 conventional / 350 Fahrenheit / Gas 4. Grease and base line two 20 cm / 8 inch loose bottomed cake tins. Sift the flour and baking powder into a bowl and set aside. Place the butter and caster sugar into a stand mixer fitted with a paddle attachment and beat until soft and fluffy. Add the beaten egg a little at a time (add a little flour if the mix starts to look curdled), and then add the maple syrup. Share the batter evenly between the cake tins, and bake in the centre of the oven for about 25 - 30 minutes. The cakes should be risen and golden, and a skewer inserted into the centre should come out clean. Remove from the oven and allow to cool on a wire rack for a few minutes, before turning out of the tins and allowing to cool completely. And just try and keep the smile off your face. 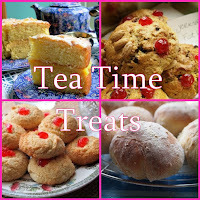 As there are a number of blogging challenges around this month that this will fit in with, I'm going to enter it in this month's Tea Time Treats, which is being hosted by Kate over at What Kate Baked, and co-organised by Karen over at Lavender and Lovage. This month's theme is Layer Cakes, so I think this one fits the bill pretty well. I'm also entering it into a new challenge, organised by Victoria at A Kick at the Pantry Door, called Feel Good Food. This month's theme is blueberries, so again, this fits in well there. 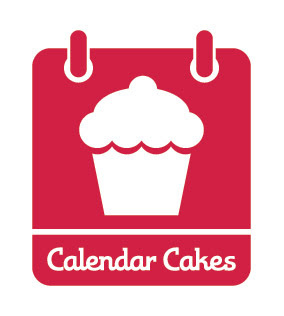 Finally, this month's Calendar Cakes, organised by Laura at Laura Loves Cakes, and this month's host, Rachel at DollyBakes, is based around jam. Well, with the fruity blueberry conserve in this lovely frosting, I reckon that just about counts (fingers crossed). What a beautiful cake - I would happily bake with blueberries every week if my family loved them as much as I do! What a great looking cake and a great combo of flavours. This looks fab, your cakes always come out so good! What tins do you use? They seem deeper than regular sandwich tins. I absolutely love the list of ingredients in this - spelt flour, maple syrup, juicy blueberries - yum! I've been wondering whether to buy Amber's book - would you recommend the rest of the recipes? The book is lovely - it's been my first introduction to spelt flour and other 'healthier' ingredients for baking, so a bit of an eye opener for me. There's a lot I'd like to try (and have made spelt pastry so far - really loved that). It's very inspiring and - given what I've seen on your blog - I could see it being right up your street. Lovely berrilicious layer cake ! Love the combo & so in season! YUM! Nice to see you back! This looks perfectly delicious and what a great idea of mixing jam with the cream cheese for the icing - will definitely be trying this one! Hazelnut cakes are a favourite of mine and I love lemon and blueberries too. This sounds delicious and I am intrigued by the inclusion of maple syrup in the batter. Mmmm! Thanks for sharing. I will be making it soon. PS it is beautiful too. 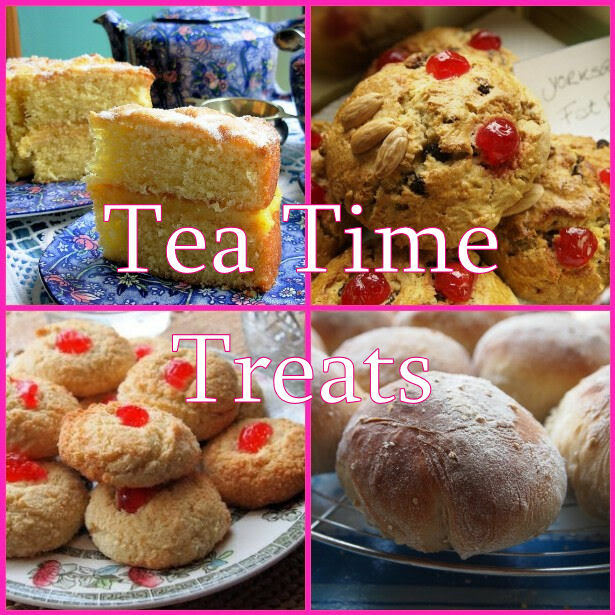 You had me at that very first gorgeous photo... Lovely, lovely bake and thank you for entering it into TTT! Wow that looks beautiful! The combination of flavours sounds absolutely gorgeous. I made this at the weekend and it was fabulous. Thank you. I made this last night for a Charity Cake Sale but I forgot the lemon! Hope it tastes just as good! If i don't have spelt flour what could i use as an alternative ? Also could it be made in a bundt mould do you think ?